Saturn’s 250-mile-wide icy moon Mimas shines in direct sunlight and reflected light from Saturn in this image, a composite of raw images acquired by NASA’s Cassini spacecraft on Jan. 30, 2017 and received on Earth today, Feb. 1. This is a bit of a “Frankenstein” job I made, assembled from five separate narrow-angle camera images taken in various wavelengths so the proportions are slightly off here and there, but the general placement of surface features are about right and the lighting is accurate to the scene. 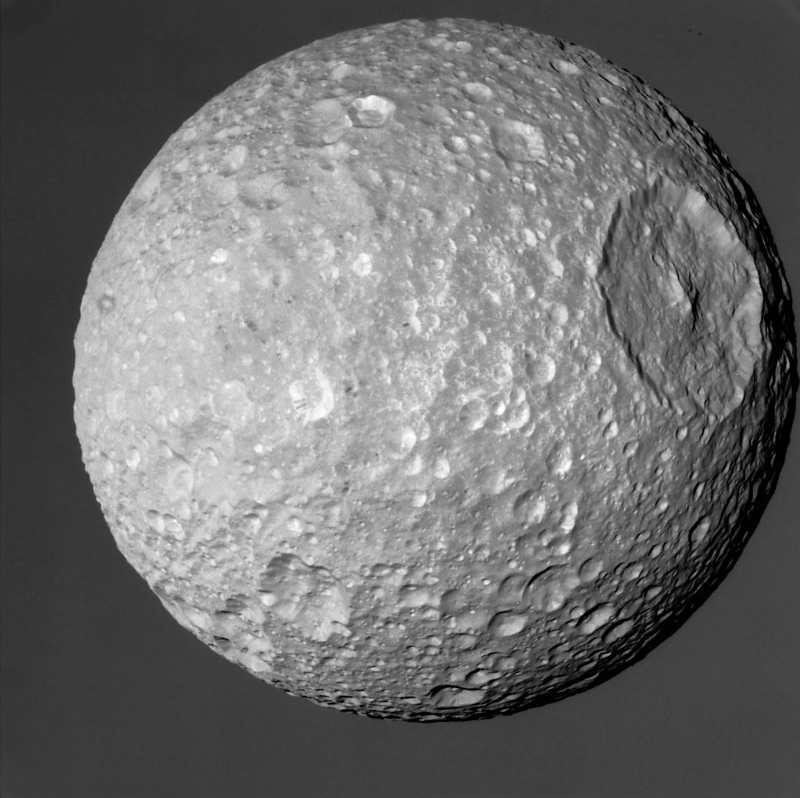 Mimas’ south pole is within the deeply shadowed area at the bottom; north is up. Known as the “Death Star” moon, 250-mile (400 km) -wide Mimas’ northern hemisphere is dominated by the 80-mile (128-km) -wide Herschel Crater (which is just around the right sunlit limb in this view), giving it an uncanny resemblance to the infamous sci-fi space station. A crater on Earth as proportionally as large as Herschel would be 2,500 miles (4,000 km) across! One of Saturn’s smaller moons, Mimas is one of the most heavily-cratered worlds in the Solar System. It could fit entirely width-wise within the state of Colorado with 30 miles to spare. 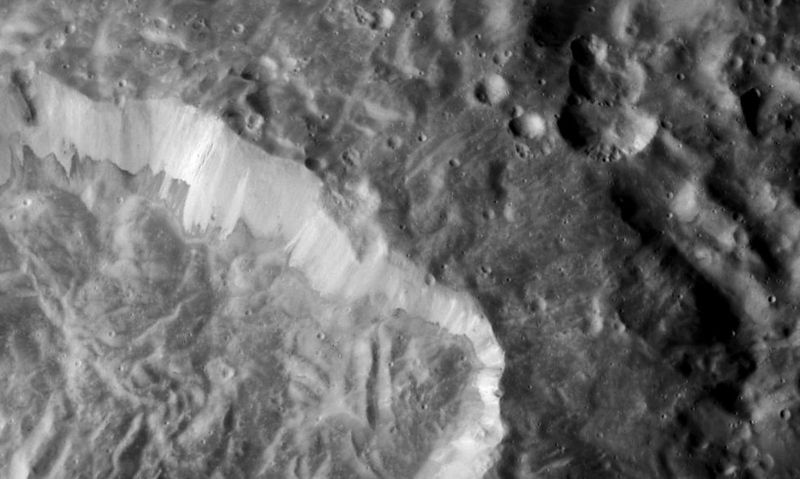 Water ice reflects the sunlight in many of the crater walls on Mimas. Like most of Saturn’s moons Mimas is composed of a lot of water ice, which is highly reflective and hard as rock in the cold temperatures found so far away from the Sun. 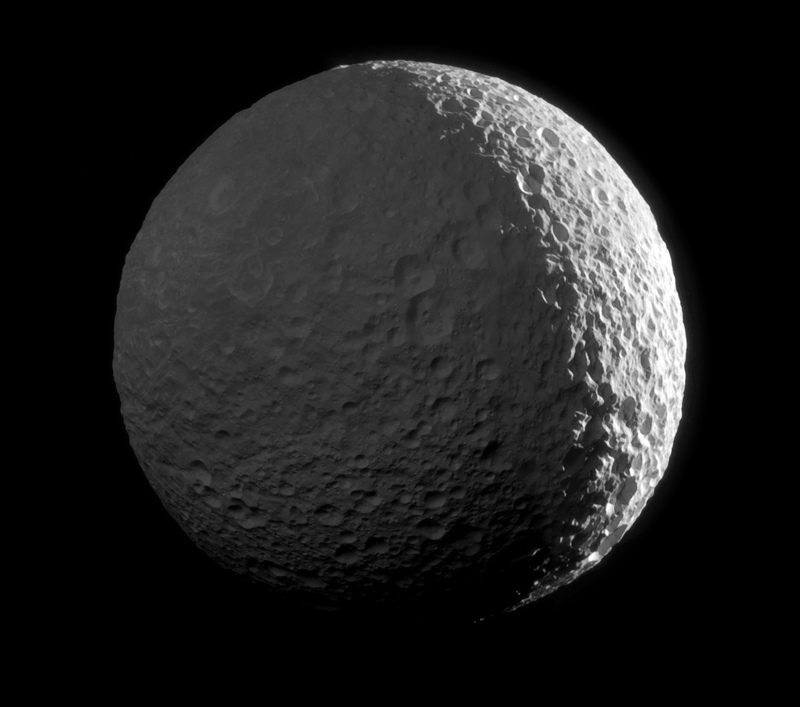 See more images and animations of Mimas here. 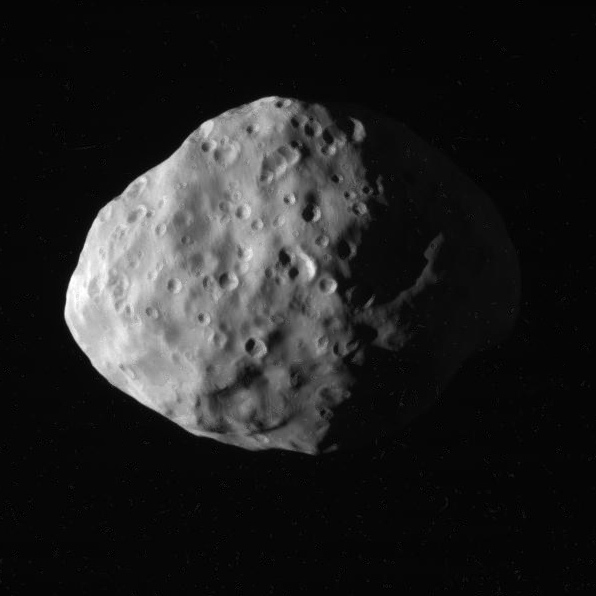 During the same pass Cassini also captured some fantastic images of Epimetheus, an 84-mile-wide shepherd moon that orbits Saturn between the ropy F and hazy G rings. 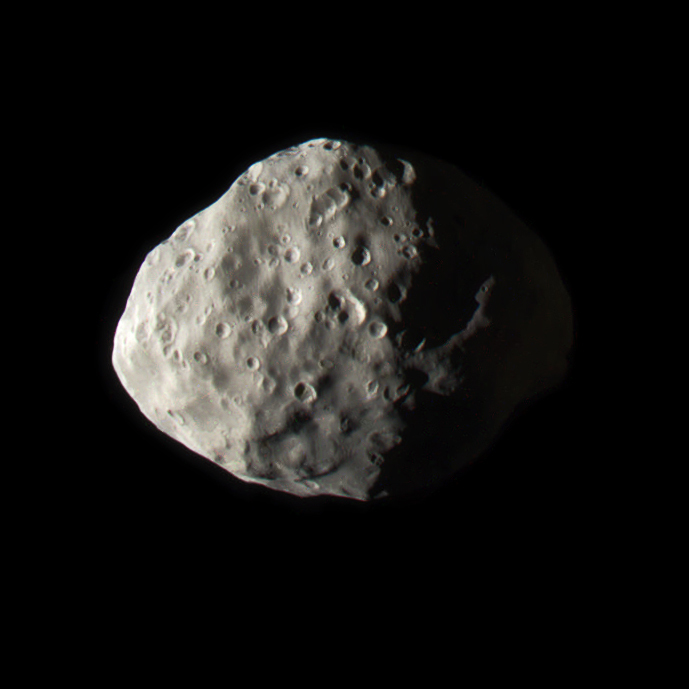 These may be our most detailed views ever of Epimetheus’ dusty and grooved surface! 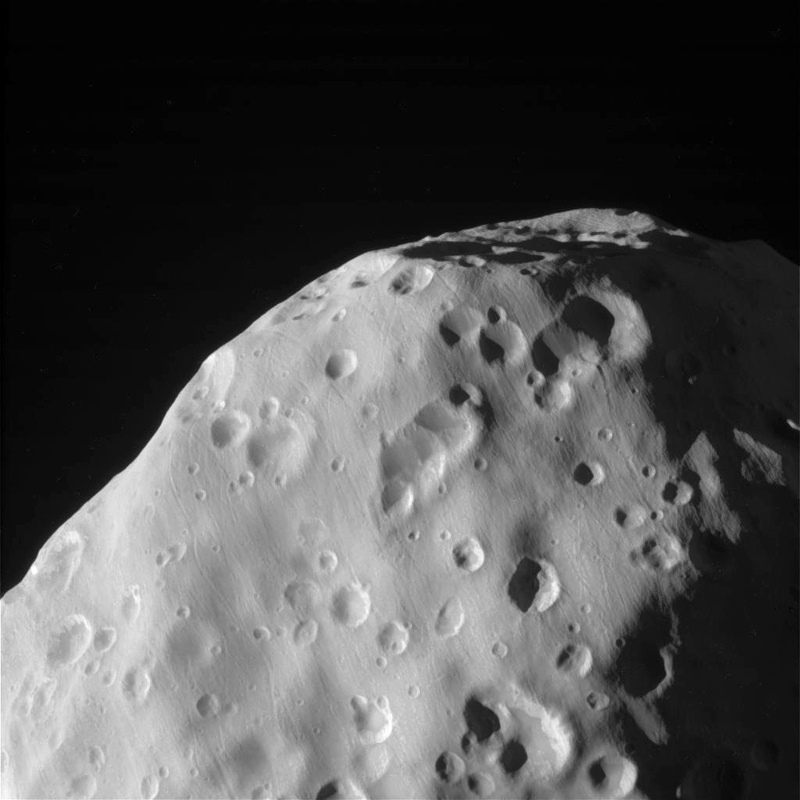 As always you can find the latest raw images straight from the Cassini spacecraft as they arrive here.